TangoTab is an app that donates one meal to the needy each time a user ‘checks-in’ to one of their partner eateries online. Founded by US entrepreneur Andre Angel, TangoTab just launched in Singapore on 13 April, and now works with The Food Bank Singapore. TangoTab is a social impact app from the US, created in 2012 by internet entrepreneur Andre Angel, as a solution to help people pass on food to the needy every time they dine out. When you think of “paying it forward”, it usually means you’d purchase your own food, and then also pay the cost of another meal so that someone who needs it can pick it up for free. Except, I don’t actually know anyone who consciously has this habit. So, TangoTab adopts a model that makes it a lot easier for people to give. They partner up with restaurants, which will pay them a fee every time a diner ‘checks in’ through the app. With this revenue generated from their F&B partners, TangoTab donates a portion to local organisations that cater food for the underprivileged. That way, people contribute to sponsoring meals for the needy just by downloading the app and checking in when they dine out—they don’t even have to pay a single cent more. TangoTab has donated more than 3 million meals in the US through this method, and they’re hoping to replicate the impact here with their launch in Singapore. 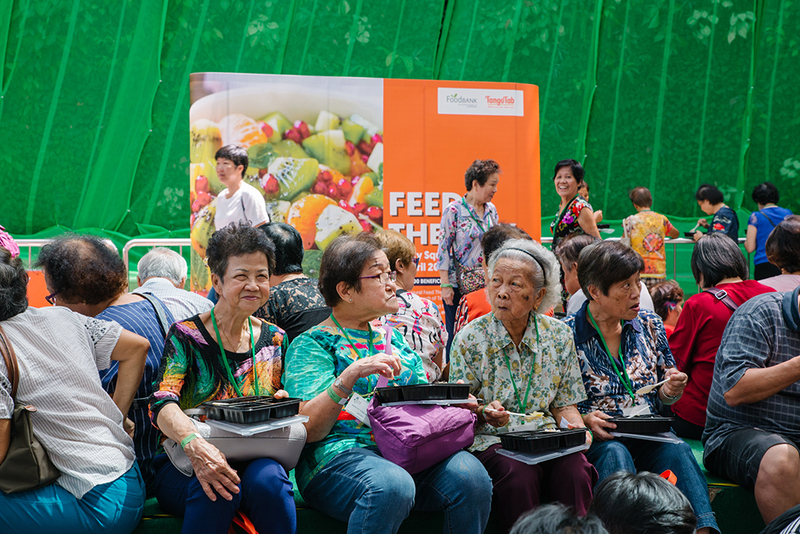 On 13 April 2019, they announced their arrival by organising a community engagement event “Feed the City”, together with The Food Bank Singapore (FBSG), to give free lunches to 1,000 beneficiaries at City Square Mall. 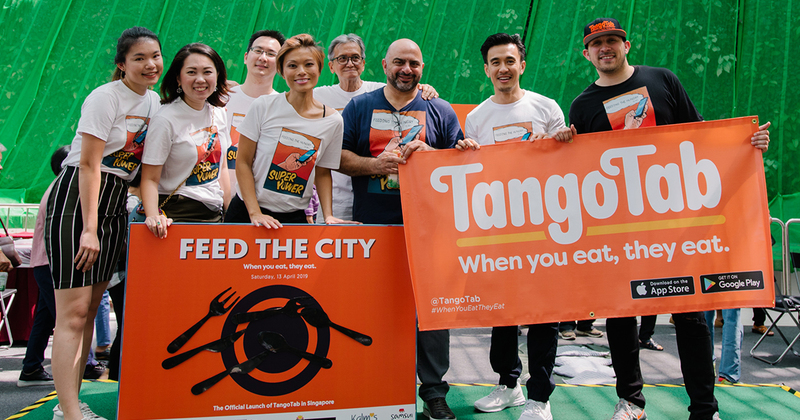 While TangoTab has been organising this event since 2015, it was the first time Feed the City was held in Asia. 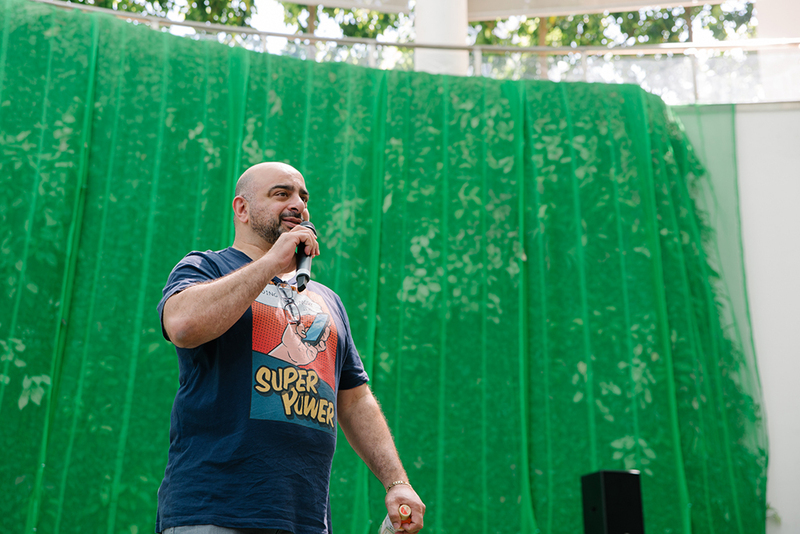 Angel’s inspiration behind TangoTab stemmed from a volunteering experience at a food pantry with his children back in 2011, when they witnessed how American families had to make ends meet by waiting in line to receive free food. “In Singapore, 1 in 10 individuals go to bed hungry every night,” he adds. In Singapore, TangoTab has appointed FBSG as their charity of choice, with more than 300 non-government organisations within its network, able to reach out to 150,000 beneficiaries. Although they just launched two days ago, TangoTab already counts McDonald’s, Ya Kun Kaya Toast, Central Thai, Plentyfull, and Samsui Kitchen as some partners on board. Food vending machine company Kalms will also participate through its 500 locations islandwide by the end of May. Their aim to work with 1,000 F&B outlets by the end of the year. TangoTab currently has a 2-person team in Singapore, including Chief Makan Officer, Nichol Ng, who is also the co-founder of FBSG. Nichol shares that they’re hoping to build up a community “who will use the app to support in giving more meals” to the less fortunate. Their current target is to get 10,000 app downloads in Singapore by end April. She explains that each check-in on TangoTab translates to one meal sponsored, even though the fees collected from partners may differ based on each restaurant’s price point. “Regardless of the fees paid to TangoTab, TangoTab has that commitment—It’s one meal per check-in,” she says. TangoTab is now available to download on the App Store and Google Play. You can sign up through this link, or learn more about the app here.